The Only Emergency Garage Door Repair You Need! 911 Garage Doors is Houston’s Best and Only emergency garage door repair you need! We guarantee we will do the job the right way the first time. Life Happens. Things Break. USUALLY when you least expect it, but we stay ready and entirely stocked for a call from you at any time so that we can get the job done as soon as possible. Let us install a garage door that you won’t ever have to worry or stress over again. WE take care of the stress, the mess, the maintenance and the peace of mind. WE take care of you. Does Emergency Door Mean an Ugly Door? Most Definitely not. Just Because it’s an emergency door DOES NOT mean it will be anything less than perfect. Anything we can do for you in a regular circumstance can be done whenever you need it no matter the priority including our doors. Here at 911 Garage Doors have staff trained with over 20 years of installation and maintenance experience. Your garage door falling on your car at 2 in the morning isn’t your fault and you should never expect anything less than a willingness to help you from our employees. Just because its at an inconvenient time for you definitely does not mean you have anything more to worry about and we firmly believe and back that with our staff. Let Us Show You What 24 Service Should Mean. We all know that you definitely did not plan for an emergency garage door installation at 4 in the morning, but thats ok. We will make it as easy and as simple of a process that we know it can be. Contact Us Today or whenever you need us, we will be here for you. Need a Garage Door installation Houston? 911 Garage Door Service are your go to guys for garage door installation in Houston. We have the nicest selection of garage doors and some of the greatest highly trained employees to get the job done the right way for the right price. Garage Door maintenance and installation can be a real pain! Let us make it one of the most easy and hassle free experiences you will be sure to have all year. Most of us take the convenience of a garage door for granted. I mean what’s so hard to understand right? It goes up and down! Most won’t even think twice when moving into a new home about how well maintained their garage door is. Improperly installed garage doors or poorly maintained garage doors can pose many dangerous problems including but certainly not limited to a lack of proper security. Imagine sitting quietly in your home on a beautiful evening when you hear a loud crash coming from your garage, you walk outside and find that you car has been crushed by the weight of your garage door that fell from poor installation. Maybe you’re leaving town for a week on a vacation? A poorly installed or maintained garage door leaves plenty of openings for theft or a security breach into your home. These are all very real and very possible situations that most take for granted by not maintaining their garage doors properly. Which is why you NEED to let the number one garage door installation and maintenance service in the greater Houston area. It’s never a good day when your garage door gets damaged. Whether the garage door opener just isn’t working, or a car has completely obliterated it, we have you covered. 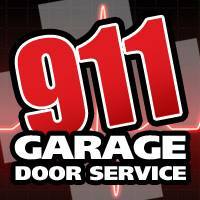 911 Garage Door Service is every Houstonian’s first call when trouble strikes. We’ve seen every scenario from strained springs to entire doors collapsing from rust damage and more. Don’t let it stress you out. We’ll make the services as fast and simple as ever. Over time, garage door openers age and start to fail. It’s more common of a problem than you would think. Almost all garage door openers begin to experience problems after 3 to 4 years of active use. Some can even fail after shorter time periods than that. You deserve to have that garage door operating just as you intended and paid for. If you wan’t correct Houston garage door repairs, then there isn’t a better choice out there than 911 Garage Door Service. The strangest things can break a garage door. It could be anything from kids playing basketball to a full on collision. Whatever the case, we can get your door back to tip top shape. Houston garage door repairs are constantly in motion. We know you can’t control when the damages occur, so we’re ready to help at any time that they do. It’s what we do! Garage door repair doesn’t need to be a hassle for you. We make it as easy as one phone call. Repairs usually take less than an hour even, and we guarantee that your garage door will work as good as when it was brand new. We can help with that too! If you’ve taken any kind of garage door damages and would like to change things up, we can install a brand new door or garage door opener for you. There are a lot of different styles, color, and materials that can be installed. Just imagine a brand new wooden garage door set up and coordinated to match your home. Not only are they beautiful to the eye but they can raise property values! That’s a win win I’d say. A fence is a structure that encloses an area, typically outdoors, and is usually constructed from posts that are connected by boards, wire, rails or netting. A fence differs from a wall in not having a solid foundation along its whole length. It provides enclosure to the area around your home or yard or basically any area that you would like to encompass. Fencing provides more than just a structured area though. When you get custom fencing Houston, you’re making a statement of art and protection for your home. A good fence brings a lot to a yard. Everything from wood to metal can be used to create a fence, and the level of designs and styles is nearly limitless. You of course want something that will match your home and yard, or even accent them to bring out the hidden beauty. That’s why when it comes to Custom Fencing Houston, 911 Garage Door Service is ready to work with your design to make sure that the fencing as well as your home door, garage door, and possibly even driveway gates all work together. If you have beautiful fencing around your home, why not have a beautiful driveway gate to match? Driveway gates can provide so much more aesthetic appeal to your home, and the additional security doesn’t hurt either. We can install and program driveway gates for any home around the Houston area and bring beauty and security right to your front door… well almost. You can read more about our Driveway Gates Here. What Are Commercial Roll Up Doors? Commercial Roll Up Doors, roller doors or sectional overhead doors are a type of door or window shutter consisting of many horizontal slats (or sometimes bars or web systems) hinged together. The door is raised to open it and lowered to close it. On large doors, the action may be motorized. It provides protection against wind and rain. In shutter form, it is used in front of a window and protects the window from vandalism and burglary attempts. 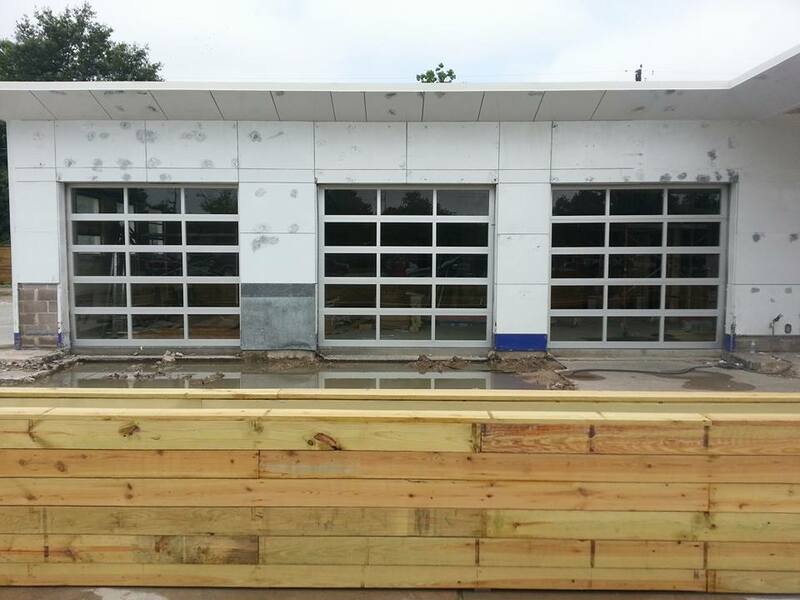 These Doors are some of the easiest doors to install and maintain and 911 Garage Doors installs the Number 1 commercial roll up doors in the Greater Houston Area. We will make it as simple and easy of a process as we know it can be. With our Done right the first time guarantee, you will be upset that you even thought about calling anyone else! We do these things right with employees trained with over 20 years of experience becaue we care about our customers and their satisfaction. We want to take the stress out of needing a roll up door for you business and we know that we can. Give Us a Call today or whenever you need it. With our 24 hour service we will be there for you whenever you need us. Do you need top quality garage door repairs in Houston? Searching for a local company that you can trust? Well, you’ve found the right one! At 911 Garage Door Service, we take pride in our work and never leave a job until our customer is 100% satisfied! We’ve installed every type of garage door you can imagine. That includes steel doors, faux wood doors, carriage house doors, wooden garage doors, and more.